We are excited to announce our “5th International Conference on Crystallography & Novel Materials” to be held November 18-19, 2019 in Helsinki, Finland. The theme of our conference is “Structural innovation of Crystals and Novel Materials using latest Crystallographic methods”. Crystallography Congress 2019 initiates a world technical crystallography congress to learn about the latest development and different techniques, as well as how to launch new applications of novel materials and technologies in crystallography. This conference provides a perfect symposium for the world-wide scientists, engineers, directors of companies and students in the field of Materials science and Crystallography to meet and share their knowledge. We will be happy to bring together experts from different countries and exchange their views, reinforce knowledge base, and learn new concepts. With the participation of outstanding international experts prompt keynote presentations, Oral talks, Poster presentations and Exhibitions. We sincerely invite you to join us and your presence will certainly add value to the conference and very much appreciated! The “5th International Conference on Crystallography & Novel Materials” will focus on latest research on different topics like Protein crystallography, Crystallography in Material Science, Chemical Crystallography, Crystallography in Materials Science, Electron crystallography, Crystallography congress invites you for Keynote talks, plenary talks, symposium , workshops, invited sessions and oral and poster sessions from various universities and associations. This will be the best opportunity to outreach the large gathering of participants from all around the world and get name recognition at this two-day event. World-eminent speakers, most recent researches, latest techniques and the advanced technologies in crystallography using novel materials are the principal features of this conference. Delegates from Metallurgy Industries and many more…. Material Science is the application of physics and various branches to describe the properties of materials. It is a combination of Physical sciences such as solid mechanics, solid state physics, and materials science. Crystallography is used by materials scientists to characterize different materials. In a form of crystals, the drawbacks of crystalline arrangement of atoms are easily visible to see macroscopically, as the natural shapes of the crystals will reflect the atomic structure. Materials Science in chemistry includes the synthesis of different crystals and study of materials that have very useful magnetic, optical, electronic and mechanical properties. Material science has a broad range of applications like includes composites ceramics and polymer materials. Some materials that have been analysed crystallographic ally, such as proteins, do not occur naturally as crystals. Materials Science role in crystallography is a scientific discipline used to find the properties of different crystals and also expanding to crystals, composite materials. It also involves in the recent discovery, development and designing of new materials. In this method crystal computing is fundamental methods used for the formation of the different crystals. There are various techniques available; they are most frequently used and have been selected for the axis transformations and geometric calculations of the single crystal — bond angles, torsion angles, distances between principal axes of the quadratic forms, metric considerations on the lattices and structure factors. The most widely used method in computing is the least squares method and it has main crystallographic applications while attention is also related to some different techniques. This computing method also covers the reciprocal lattice, which is very useful in diffraction geometry. Chemical crystallography is an application of diffraction techniques to the study of structural chemistry. A frequent purpose is the identification of natural products, or of the products of synthetic chemistry experiments; however detailed molecular geometry, inter molecular interactions and absolute configurations can also be studied. Different chemical Structures are studied as a function of temperature, pressure, application of electromagnetic radiation, magnetic or electric field: these kind studies comprises of only small minority of the total structures. The single crystal is used in x-ray diffraction to find the structure of a chemical compound that has been historically classified as 'Chemical Crystallography'. Most of these difficulties can be mostly overcome by employing more powerful radiation sources as the extent of diffraction depends on the number of electrons an atom has, and finding the positions of hydrogen atoms using X-ray diffraction can be difficult. Nuclear Magnetic Resonance (NMR) crystallography is a type method that uses primary NMR spectroscopy to find the structure of different solid materials in the atomic scale. So the solid-state NMR spectroscopy will be used primarily, and possibly supplemented by quantum chemistry calculations (e.g. density functional theory), powder diffraction etc. If crystals is grown is properly and uniquely, any crystallographic method can generally be used to determine the crystal structure and in case of organic compounds the molecular structures and molecular packing. The main use of NMR crystallography is in determining micro crystalline materials which are used to this method but not to X-ray, neutron and electron diffraction. This is largely used because interactions that are short range are measured in NMR crystallography. Neutron Crystallography is a type of method that can supplement X ray-beam crystallography for the determination of small crystals, both inorganic, natural, and proteins, for example, the layer proteins, that have the substantial 3-dimensional precious stones are required for that procedure. Different protein structures are taken from either 2-dimensional sheets or helices, polyhedrons, or scattered individual proteins. Neutron can be used in the place of X ray-beams and on account of electrons interface more easily with molecules than that of X-Ray beams do. In this case, X-beams will go through a thin 2-dimensional precious stone that will be diffracting altogether, though electrons can be used to model a picture. On the other hand, the solid interaction between electrons and protons will make thick gems impenetrable to electrons. The major drawback in X ray-beam crystallography is when checking the stages in the diffraction design. As the X-beam focal point is predicted, it is hard to model a structure of the different gems that are being diffracted. These methods uses two primary crystallographic techniques used for studying polymer structure, X-ray fibre diffraction analysis and polymer electron crystallography, are described in this chapter. X-ray fibre diffraction analysis is a collection of crystallographic techniques used to determine molecular and crystal structures of molecules, or molecular assemblies that form specimens in which the molecules, assemblies or crystallites are approximately parallel but not otherwise ordered. The theory and techniques of structure determination by X-ray fibre diffraction analysis are reviewed. Mineralogy is geological resources of major economic importance. Most of them are crystalline which explains the important role played by crystallography in their study. Minerals may occur either massive or forming characteristic geometric forms known as crystals. Max von Laue discovered the diffraction of X-rays by crystals and almost immediately diffraction methods were applied to the structural characterization of minerals. One early success of X-ray crystallography was the structural classification of silicate minerals. However, application of X-ray diffraction was not limited to minerals. It was soon used for the structural characterization of molecular crystals as well and, later on, even of proteins. Nowadays, crystallography is commonly employed in many branches of experimental sciences such as physics, chemistry, biochemistry, and geology among others. Mineralogy is basically the science of minerals, which includes their crystallography, chemical composition, physical properties, genesis, their identification and their classification. Mineralogy is one of the branches in science of Geology and there are also related subjects such as Nano materials, material science, and metallurgy and Nano science. We have reviewed the historical perspective of the science of mineralogy, cited some of the evidences for the prehistoric uses of minerals and rocks, and described some of the principle applications of the science of mineralogy. Neutron diffraction scattering in inorganic crystals is the application used for neutron scattering to the find the atomic or magnetic structure of any crystal or material. The process of determination of a sample is done by placing the sample in a beam of thermal or cold neutrons to observe a diffraction pattern that gives details about the structure of the material. This neutron diffraction technique is same as X-ray diffraction but of their different scattering properties, neutrons and X-rays will give the same information about the beams X-Rays are mostly used for the high resolution analysis of strong x-rays from synchrotron radiation that are mostly used for the shallow depths or thin specimens but neutrons have high penetration depth. The method protein crystallography is the new method that has a high-resolution X-ray sources that are currently made, like the LCLS in Stanford and the EXFEL in Hamburg, new methods of data acquisition may become possible only for the structural characterization of Nano-meter sized material that are made up to atomic resolution. In our computational crystallography there are subgroup that are developed for the new crystallographic methods and approaches for developing the ultra-fast structural changes in both micro- and macro-molecular structures and assemblies of both non-periodic or quasiperiodic type. This field of crystallography has been evolved together with the developments in computer science and molecular biology, making three-dimensional structure determination of complex or crystal faster and easy for biological assemblies in this method. There are different properties of crystallography used to find the crystal diffraction and Precession electron diffraction (PED) is one of the methods to gather the electron diffraction patterns in a type of microscope called transmission electron microscope (TEM). Using this method the patterns are seen by processing an incident electron beam across the central axis of the microscope, then there is PED pattern that is formed by integration along the diffraction patterns. These patterns will produce a quasi-kinematical diffraction pattern that is mostly used as input for the direct methods algorithms to understand the crystallography structure of any sample or crystal. ME Conferences is glad to invite you to the upcoming “5th International Conference on Crystallography & Novel Materials” to be held November 18-19, 2019 in Helsinki, Finland. The theme of our conference is “Structural innovation of Crystals and Novel Materials using latest Crystallographic methods”. Crystallography Congress 2019 initiates world technical crystallography researchers to learn about the latest development and different techniques, as well as how to launch new applications of novel materials and latest technologies in the field of Crystallography and material Science. The Crystallization Market in crystallography is differentiated by various technologies, product, and end user. In the market, crystallization is further divided into protein purification, crystallization in biology, applied crystallization, and crystallography in novel materials. However, the crystallography and material science market will be seen in the highest growth in the next few years. There are many factors that are propelling the growth of the Applied Crystallization & Crystallography Market will include the increase and also the immediate need for the high-resolution information on protein structures, technical advancements, and increasing R&D in the material science and biotechnological areas. And on the other side, the factors that influence restraining the growth of the market will include materials that are qualified, lack of generalized crystallization methods associated with the types of proteins and different crystallography techniques. Materials Science research and market development is rapidly growing world-wide and mostly in several Europe regions like France, Italy, Germany, London and many more. This Crystallography Congress 2019 conference aims to develop material science research and development in nanotechnology in Helsinki, Finland, by balancing the growth of the industrial, latest research and development sector in the country. Recently Finland has emerged in latest technologies in material science and nanotechnology sector due to the interest, education, investments and research. The Crystallization Market in crystallography is differentiated by various technologies, product, and end user. In the market, crystallization is further divided into protein purification, crystallization in biology, applied crystallization, and crystallography in novel materials. 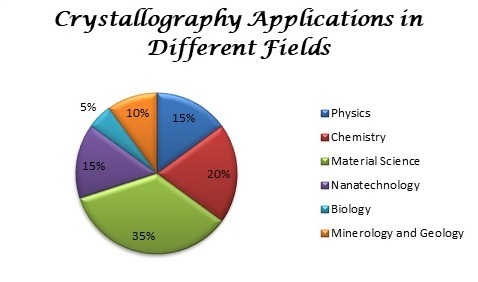 However, the crystallography and material science market will be seen in the highest growth in the next few years associations and industry in a variety of different fields including semiconductors, computers, chemistry, and novel materials and many more. The field of Crystallography and Material Science across the globe has the major portion as it plays an important role in our day to day life as it is major topic which gives us idea about the developments in different technologies and techniques used for crystallography and different novel materials. Material Science field includes smart materials, emerging materials, nanotechnology, materials research, biomaterials and advanced materials. Chemical crystallography is an application of diffraction techniques to the study of structural chemistry and novel materials. There are many fields of study but the material research and structure are used for the characterization of different novel materials. The global market growth nowadays in the different fields of material science application in the most European and US market value is very much expected to cross more than 5 billion USD in the following years than the past. The European country Finland is one of the developed countries which is having profitable economic growth in Material Science industry and will be part of the European Union Market. 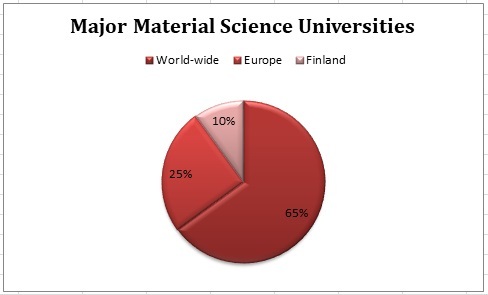 Finland so far has shown rapid growth in material science and technology, nanotechnology, novel materials development, mineralogy and geology related research and it is expected to be one of the leading countries in Eastern Europe. The research categorizes the crystallography and novel materials market on the basis of technologies of different techniques and products (analysers and reagents), and end users pharmaceutical companies, biotechnology companies, government institutes, and academic institutions. On the basis of technology, the protein crystallization segment accounted for the largest share of the market. 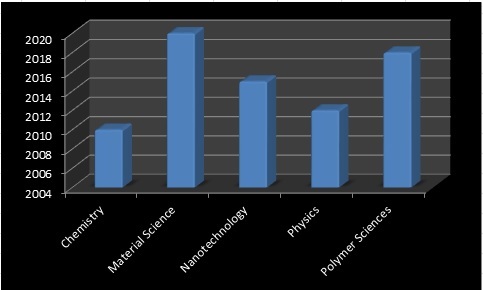 The availability of government and private funds, technological advancements, and growing research in the are related to structure-based drug design or material science are the factors that are mostly using the market in these regions.Also the increasing investments by the leading companies in these global markets, and increase in research and development activities of various technologies in material science. Thank you for attending Crystallography Congress 2018! 4th International Conference on Crystallography & Novel Materials was successfully hosted by Conference Series Group in Bucharest, Romania during November 19-20, 2018. The conference was organized around the Theme “Using Novel Materials Exploring Different Crystallography Techniques”. Active participation and generous response was received from the Organizing Committee Members, Editorial Board Members of Journals as well as from Eminent Scientists, Talented Researchers and Young Student Community. All the support and cooperation from the Organizing Committee Members, Researchers and the Speakers had made Crystallography Congress 2018 a successful event. Crystallography Congress 2018 Organizing Committee would like to thank the Moderator of the conference, Delia-Laura Popescu, University of Bucharest, Romania who contributed a lot for the smooth functioning of this event. We thank all the members who supported the conference by encouraging the healthy discussions. Conference Series Group expresses its gratefulness to the Organizing Committee Members, Chair and Co-chair, Editorial Board Members of OMICS Group journals, Speakers, Students, Sponsors, Exhibitors and Media Partners in making Crystallography Congress 2018 a great success. Bookmark your dates: Let us meet again @ “5th International Conference on Crystallography & Novel Materials” during November 18-19, 2019 at Helsinki, Finland.